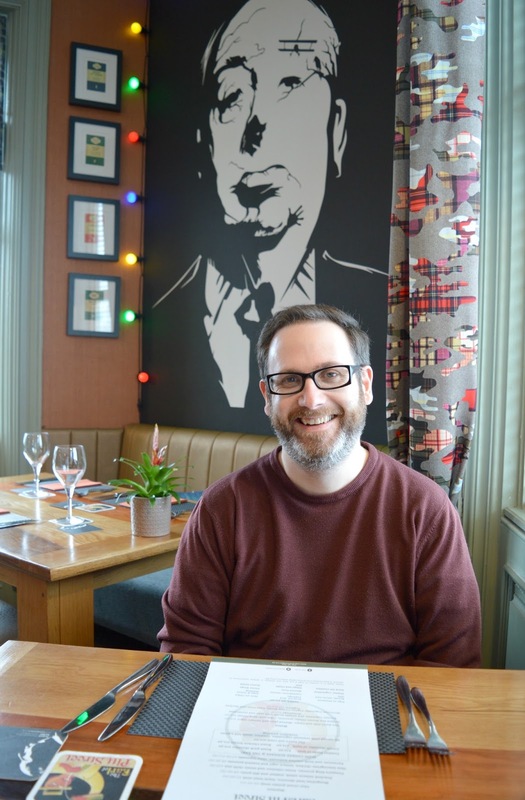 I'm making a real effort to tick more places off my North East list this year which, luckily for my food loving hubby, includes plenty of "must try" places for Sunday lunch. 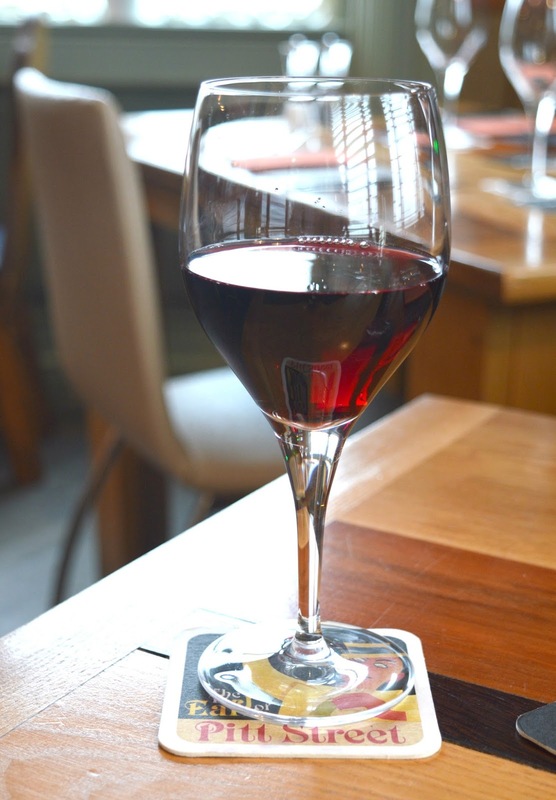 Last week's Snowmaggedon gave us the perfect excuse to book ourselves in for our first Sunday lunch of the year at The Earl of Pitt Street in Newcastle. Many people have recommended the Sunday lunch at The Earl of Pitt Street and with a nice easy bus ride through the snowy streets of Newcastle we happily left our car behind in hunt of giant Yorkshire puddings, tender cuts of meat and a rare opportunity to both enjoy an alcoholic beverage. The Earl of Pitt Street is an independent pub close to St James Park that's as famous for its decor (think Alfred Hitchcock meets Vivienne Westwood) as it is its scran. As a huge fan of anywhere quirky and delicious I was looking forward to enjoying a wonderful lazy afternoon. 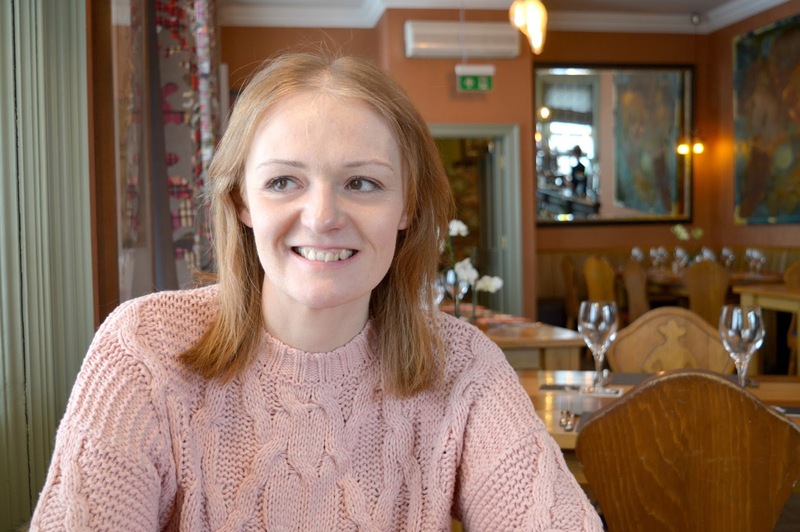 If you prefer to snuggle in the pub then food is served at tables in the bar, however we enjoyed our lunch upstairs in the restaurant where we discovered a large room full of families, groups of friends and couples all eager to tuck into some grub. 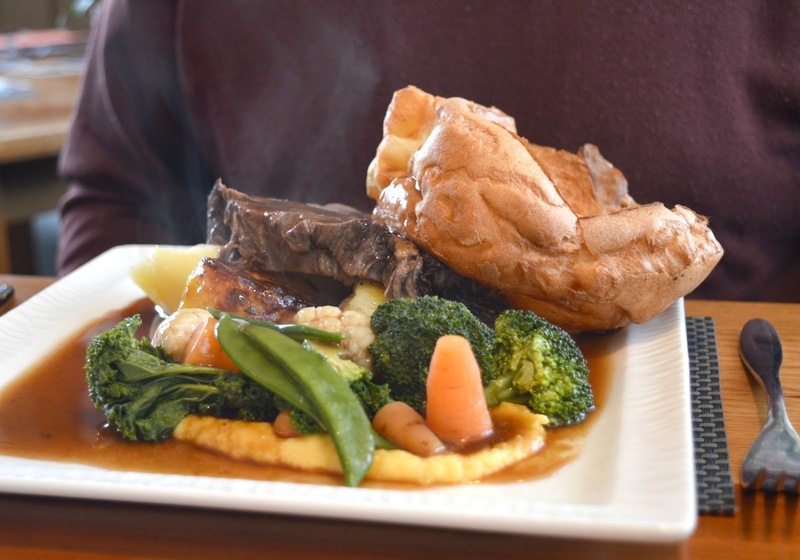 Slow Cooked Sundays at The Earl offers four different cuts of meat (as well as a veggie option) all served with seasonal veg, roast potatoes, mash and giant Yorkshire puddings. If you're feeling extra hungry they also have an epic amount of Sunday Sides at £2.50 each including Pigs in Blankets, Duck Fat Roasties and Cauliflower Cheese. Simon opted for the Feather Blade of Beef (£13.50), no surprise to me as he always orders beef when we're out whereas I'm always too nervous about the meat being tough to risk it. I tend to carefully watch Simon as he cuts into the meat and if it looks good I'll steal his fork off him for a big bite. The beef at The Earl of Pitt Street was spot on and I had that fork out of his hands before he had time to object. It was so tender! I decided to order the Roast Chicken Breast (£11.50) and was also presented with a perfect cut of meat. Luckily Simon isn't quite as quick at stealing cutlery as me so I let him try a tiny bit before ignoring him for the rest of my meal and tucking in to my dish. 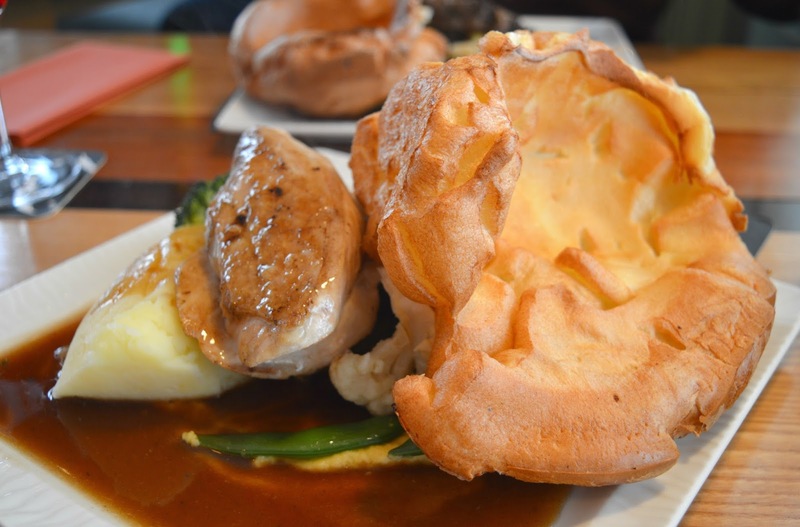 Ever dreamt of Yorkshire Puddings as big as your head? Well dream no more folks because you'll find them at The Earl of Pitt Street. The real show stopper of the Sunday lunch, I've never seen Yorkshires so huge in all my life and they were so light and crispy too. 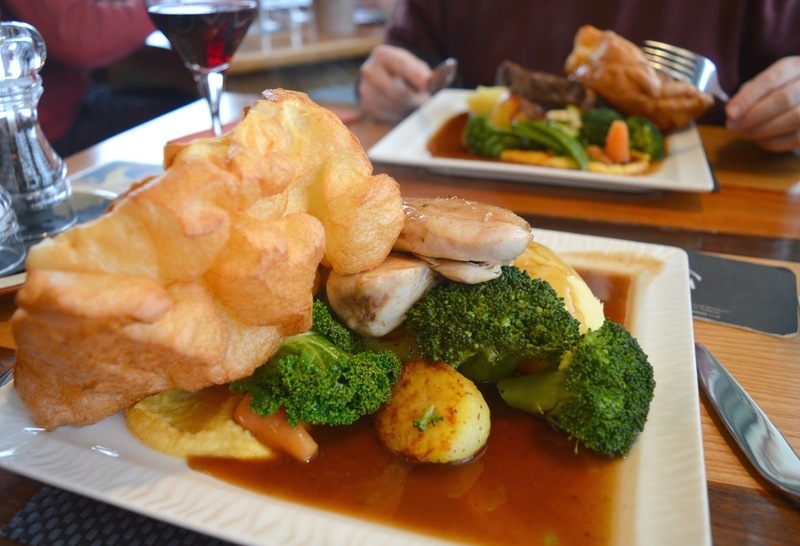 We were also thrilled to discover double potato on our plate with crisp roasties and buttery mash fulfilling our carb cravings and broccoli, cauliflower and mashed parsnip ensuring that we were getting a healthy does of veg. With plates completely cleared we were nursing huge bellies by the time it came to looking at the dessert menu and I will admit I wasn't really feeling it. 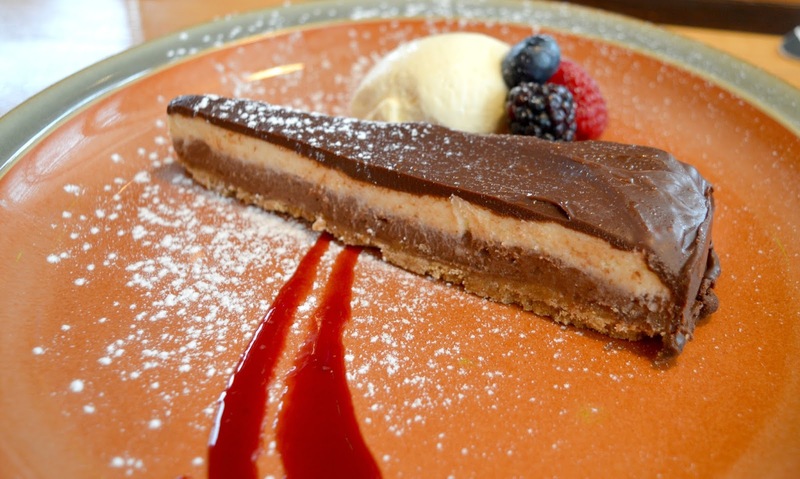 Dessert is my favourite course and if the menu isn't packed full of my favourite dishes I tend to sulk and not bother ordering. The puddings at The Earl of Pitt Street didn't really shout out to me. 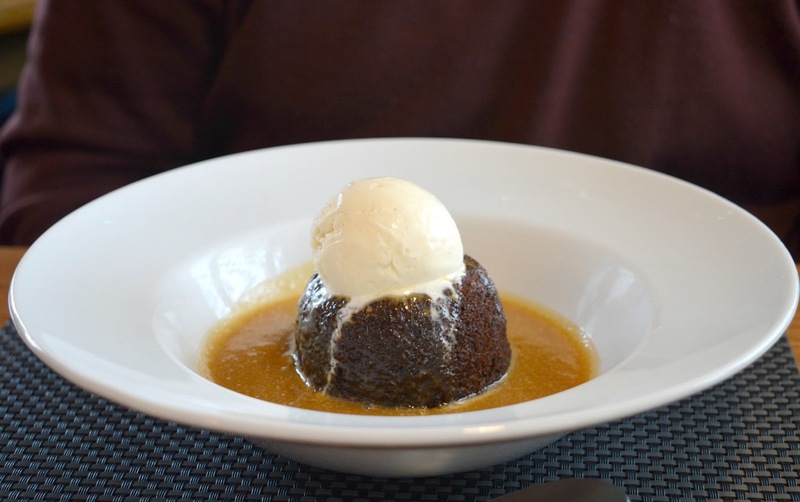 As soon as Simon spotted the Sticky Toffee Pudding with Butterscotch Sauce and Vanilla Ice Cream (£5.00) he wanted to indulge and using the excuse of "but you'll have more to write about if we get dessert" (funny how he suddenly takes interest in the blog!) he managed to twist my arm. I decided to order the Double Chocolate Cheesecake with Chantilly Cream (£5.00), the only thing on the dessert menu that really appealed to me. It was a nice enough slither of cheesecake packed with loads of chocolate to satisfy my sweet tooth, but wasn't really anything to sing about. The Earl of Pitt Street certainly won't be my destination of choice for dessert, but if I'm being honest the Sunday Roasts more than fill you up so it's not like you really need afters! Our first Sunday Lunch of the year was a huge success and we're so happy that we've finally visited The Earl of Pitt Street! Make sure you let me know where we should try next! Oh man you are missing a treat not ordering beef! You need to try it next time. 99% of decent places won't serve it tough these days! Next time I challenge you to do it! The whole meal looks fantastic - I am also with Simon on the Sticky Toffee Pudding. Yum!! I know I think I need to leave my childhood fears of beef behind and start ordering it because whenever I take some off Simon's plate it's delicious! YES!! Next time I'm getting a side plate for my Yorkshire! Wow those Yorkshire puddings are huge! It looks really good there. Excited to see what others place you're gonna be ticking off your list. 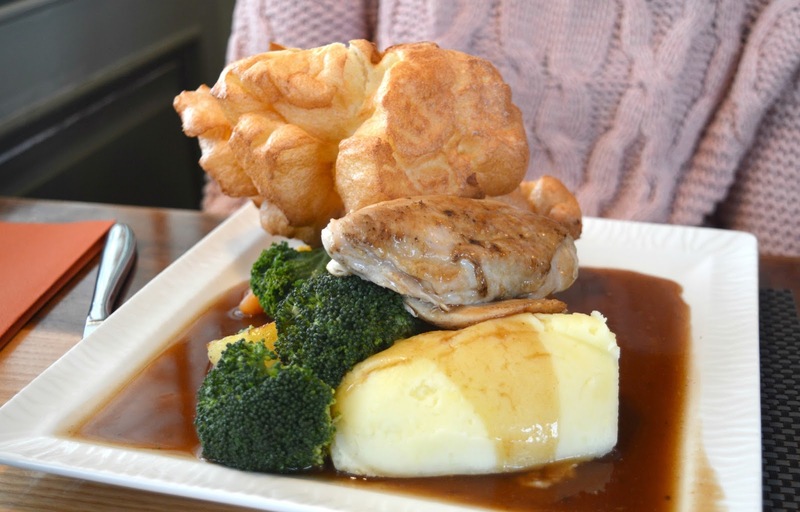 We really do have the largest list of Sunday Lunch places to get round! We trecked through the snow in our wellies to get there and it was most definitely worth it! I generally go places for the puds and the meat, who doesn't! This place looks like my kind of place! I am such a sucker for a huge pud! I'm a bit wary of ordering beef too as I've had a couple of really fatty bits out before and that's not my jam, but there's few things as good as good beef done well! Funnily enough, the best sticky toffee pudding I ever had was at the Botanist too, so looks like Simon and I are in agreement! I'm glad it's not just me, I think I'll continue not to order beef and just carry on pinching it off Simon's plate!